Because who doesn't want to make a little noise? A project using recycled potato chip canisters and duct tape. LOTS of duct tape. (And of course I also used groovy patterned duct tape!) 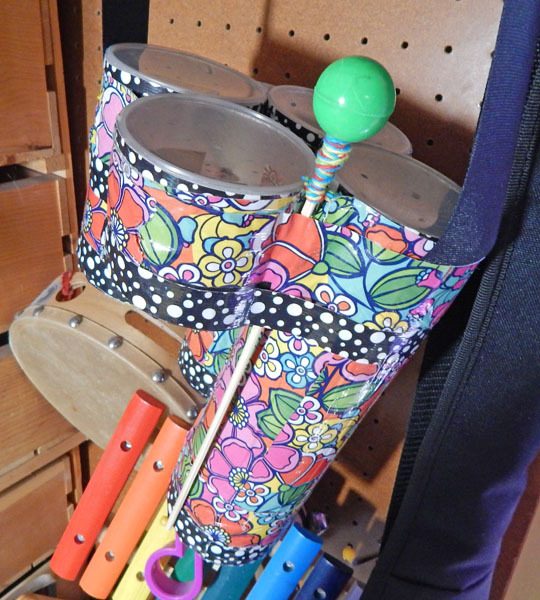 If you need a drum mallet, click here to check out this project! And here's the drum in action! A video tutorial for making sweet little polymer clay flowers! One plain version, and one version with a cork base using a straight pin as the stem. It's a snow day here! We've got lots of snow, and more coming down! Here are some projects for keeping busy while you are at home! Click on the pictures to go to the instructions! And a macrame basics video for using your beads! Have Fun! And let me know if you make any of them, I would love to see pictures! Ideas for a Fireworks-Free Fourth of July! I know, I know- Fireworks are fun! And pretty! And if you live in the United States, they have probably been a part of your Independence Day celebrations for most of your life. BUT in the western U.S., many of us are facing a very dry, hot summer - and that means our fire risk is huge. There have been devastating fires in Colorado, and we just had a very large and scary one in Idaho. So while there may or may not be a ban on setting off fireworks where you live, these are some ideas for firework-free fun. Baking Soda and Vinegar Volcanoes! These are always fun, right? And you can use food coloring to make your volcano red, white, and blue! Click here to go to my instructions for putting together a simple one! We haven't tried this one yet, but my friend suggested it, as her family made these for Easter and really enjoyed them. They are confetti filled eggs, and you could easily fill them and decorate them with red, white, and blue for a patriotic flair! I originally made these for New Year's Eve, but how about some ribbon wands in red, white, and blue? Or with sparkly metallic ribbon - almost as fun as sparklers but with no risk of burnt little fingers! 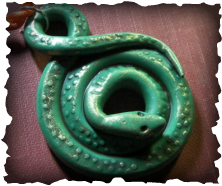 Did you know you can get polymer clay (Sculpey) in glow-in-the-dark colors? Make some fun beads of your own, or Click here to go to a tutorial on how to make this fireworks-inspired cane. HAve a Lovely, safe, and fun Fourth of July! If you have any other fun Independence Day ideas, please share in the comments! This is our quick baking soda and vinegar volcano! We made these for the Fourth of the July (Independence Day) in the US, since it has been very dry, we've had a really bad fire, and there is currently a fireworks ban in effect in our town. Click "Read More" to go to the instructions! Learn how to tie Square Knots, Half-Knots, and add beads for making jewelry with macrame! A couple of classy gents! 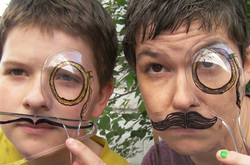 Now make these monocle and mustache disguises! 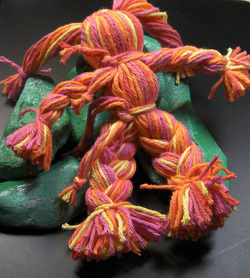 A sweet little doll, made of yarn! 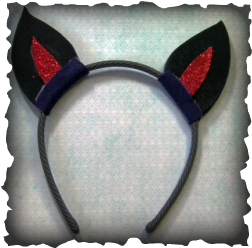 Cute and Simple Kitty Ears! Creativity is fun, so let's start making messes!